Common Tourist Mistakes to Avoid in Venice Italy. Venice has always had a special place in my heart. I visited many times when I was younger because I grew up in neighboring Slovenia and I could not wait to show it to my kids – who have never been to Italy before – on one of our trips to Europe. We finally had a chance to spend a few days there this past summer. In many ways it was just as I remembered, but there were also things that have changed since my childhood visits. The most obvious was the crowds, which have gotten exponentially larger. Sure, Venice has always been one of the most popular tourist destinations, not just in Italy, but in all of Europe, but these days some 60,000 people visit Venice every day (for perspective, the city has only 57,000 residents). A large portion is day tourists, arriving on cruise ships, which have had a 400% increase in docking over in the past 15 years. The downside of being such a popular and sought-after destination is that the crowds can quickly diminish a visitor’s experience and unfairly rob the city of its charm. But fear not. With awareness and a little planning ahead of your visit, you can enjoy the magic of Venice, instead of having an unnecessarily frustrating experience. Thick summer crowds are the case with top European tourist destinations, but this is an even bigger “issue” in densely built Venice where simply walking around the narrow streets and passages can feel like going into battle. Try to time your visit for the shoulder season (spring, fall) or even the off season (winter months except for Carnival in February). I have two school age kids, so I know this is easier said than done, but if you have any flexibility, I seriously advise you to carefully think about the timing of your visit as it can make a big difference. You might not appreciate this advice if you are not a morning person, but a great way to beat some of the tourist crowds is to explore Venice during the early morning hours before other tourists wake up or before the big cruise ships arrive. The quiet and often hazy mornings in Venice are magical and as a bonus you can take photos in beautiful light and without other tourists walking into your frame all the time. 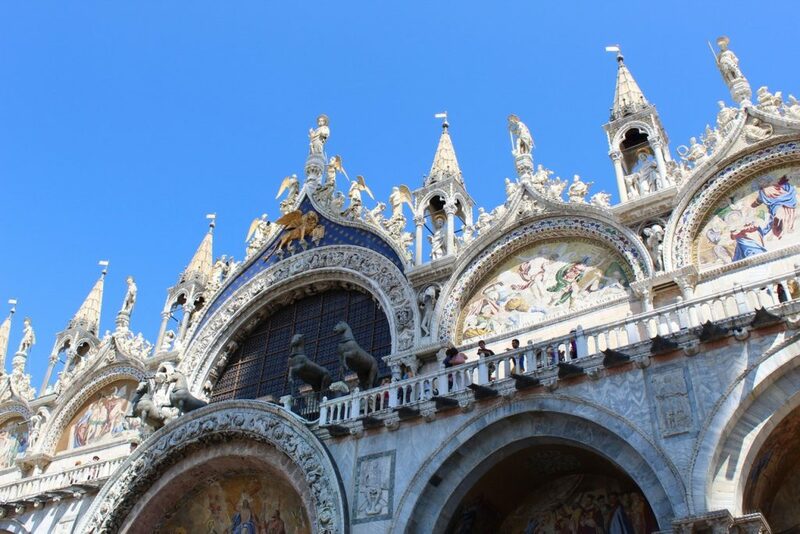 Smart Traveler Tip: If you are planning to visit some of the main attractions such as Basilica San Marco or Campanile, getting out and about early also allows you to get in line before the doors open for the shortest possible wait times. 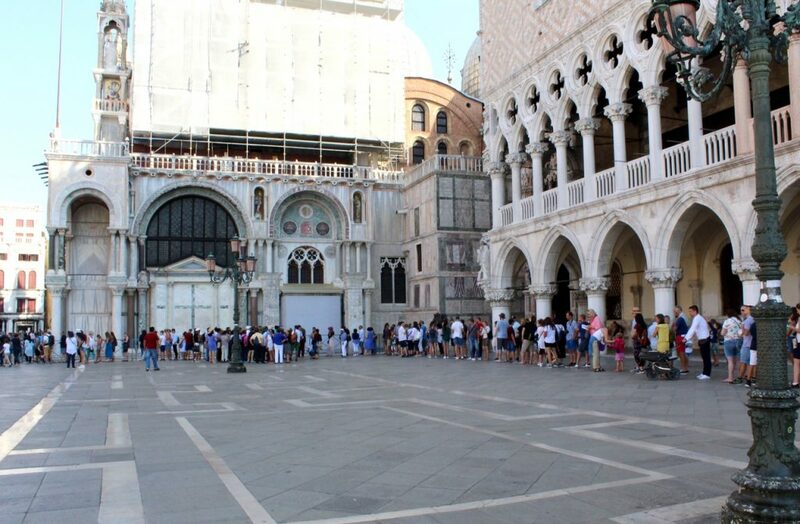 Lines start forming in front of Basilica di San Marco well before its doors open and it only gets worse as the day progresses. Unless you are on a tour which allows you to bypass the lines, it pays to get there as early in the day as possible. I am a big fan of exploring on my own whenever I travel, but there are exceptions. 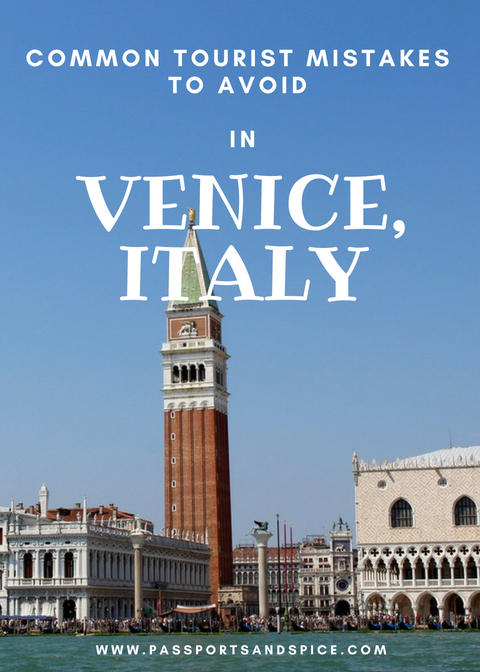 Venice has so much incredible history that even if you are a history buff, there is no way you can adequately absorb and appreciate it all with just a travel guide in your hands. Luckily, there are many tours to choose from depending on the sights they cover, duration and, of course, the price. Our family decided on a 3-hour Walks of Italy tour which took us to the Basilica and Doge’s Palace. It was long enough to learn a ton of fascinating history about Venice and some of its main attractions, but not so long that our kids protested due to overload and fatigue. Smart Traveler Tip: Being part of a tour gives you priority access so you can bypass all the lines, a serious plus in a tourist packed Venice. Venice has so much incredible history! Taking a tour for some of the top attractions can help you appreciate the sights even more than you would on your own. Of course, you cannot miss visiting Piazza di San Marco or checking out the Bridge of Sighs when you are in Venice, but keep in mind that so much of the city’s splendor comes from simply getting lost in one of the many side streets and passages, without a destination in mind. Don’t worry about finding your way back, the central area is quite small and many streets have signs pointing to Piazza di San Marco to help you find your way back… or simply ask for directions. I encourage you to explore the Cannaregio or Dorsoduro sestieri (districts), which are just outside the most touristy areas. Make as many stops you want to take pictures, buy a gelato or enjoy a few plates of cicchetti (small dishes, similar to Spanish tapas, for which Venice is known) with an Aperol Spritz, a signature drink of the Veneto region. 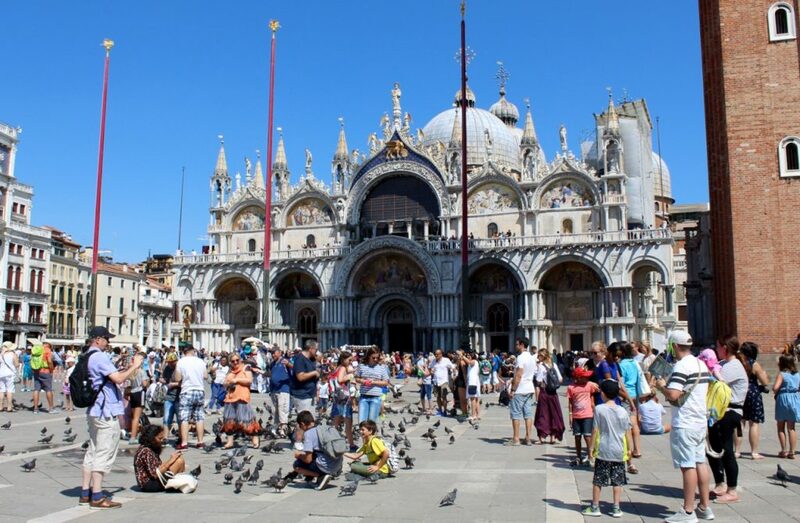 No eating or feeding birds at Piazza di San Marco or you risk a hefty fine! 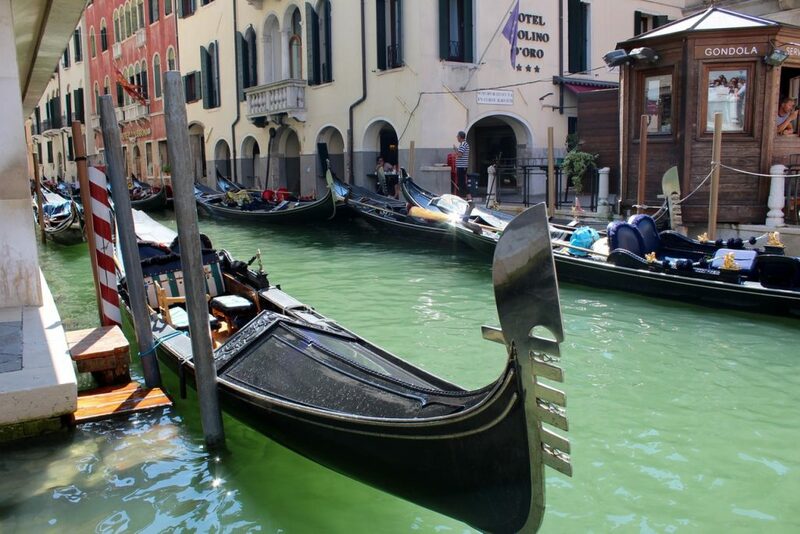 If you choose to splurge on a gondola ride, don’t take the first price offered by a gondoliero, one of the common tourist mistakes. The ride runs about 80 Euro for 30 minutes (more at night), but don’t be embarrassed to offer a lower price and try to bargain a bit. Your success will depend on location, the time of the day and how busy they are, but it is worth asking. Smart Traveler Tip: If you don’t mind sharing your ride with another party, this is another great way to save money as the charge is per ride and not per passenger. A ride in a gondola in a must-do for many tourists when visiting Venice, but don’t take the first price offered by a gondoliero. Keep in mind that Venice is a city built on water and islands. What makes it special, can also quickly become a source of frustration when it comes to your accommodations: there are many very narrow passages and over 400 bridges and only a small portion of them are luggage, wheelchair or stroller friendly. The central area, particularly along Canale Grande, might be perhaps easier to get to, but it is very pricey (not all of us have the means of George Clooney) and potentially noisy. Our family was very happy with our stay at Hilton Molino Stucky. The hotel is located outside of the main hustle and bustle, in Giudecca, the area across the water from the San Marco district. For quick and easy access of the central area, the property provides a free water shuttle service for its guests. I should mention that the hotel’s spectacular roof top pool offers some of the best views in Venice. It was worth staying there just for this alone. For some people, sitting down and getting a cappuccino at one of the cafes lining Plaza di San Marco is a must-do when visiting Venice. If this is you, I get it and I won’t talk you out of it, but be prepared to not only pay a steep price, but also a cover charge just for sitting down, 12-15 Euro in total, easily. If you walk just a street or two away from the Plaza and drink your coffee the way it’s done in Italy, standing up, you will pay about 1.50 Euro for a cup of coffee that is just as delicious. Taking a break at one of the cafes lining Piazza di San Marco might be a memorable experience, but be prepared to pay for the privilege. 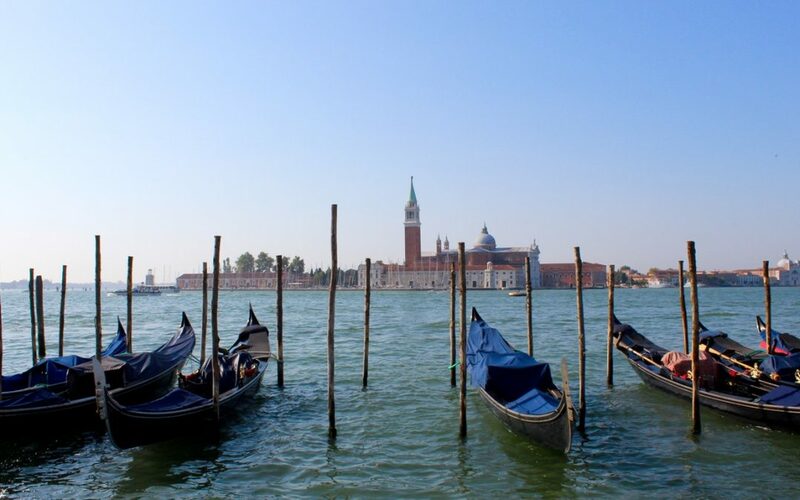 Instead, jump on the vaporetto (public transportation in Venice) and cross the lagoon to the small island San Giorgio Maggiore, which is directly across the water from the San Marco Piazza and Bridge of Sighs. 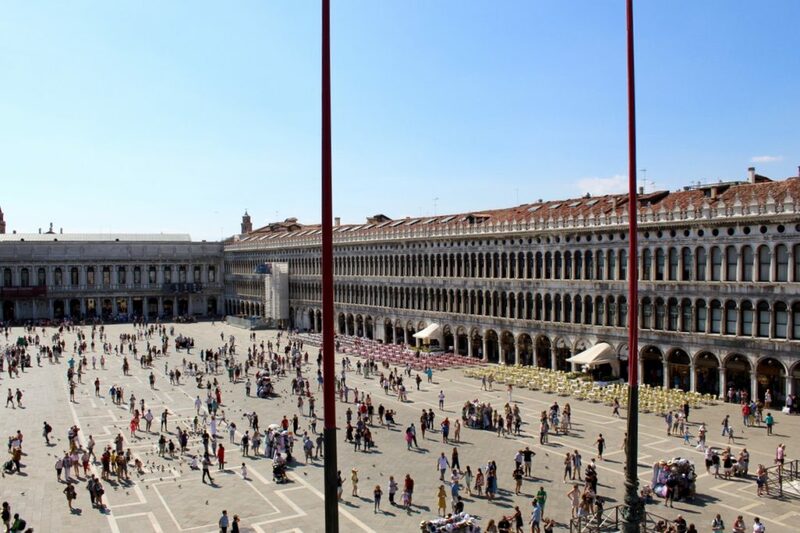 Climbing the top of the bell tower will give you the best panoramic view in Venice including the famous bell tower of St. Marco and Doge’s palace and save you time you would have spent standing in a long line to climb to the top of Campanile. I am not suggesting that Venice is unsafe, but like many European tourist destinations it has its share of petty crime, primarily pickpocketing. When you are touring a place like Venice, it is easy to be taken by it and forget about your surroundings. Try not to! Losing your wallet, camera or passport because you were distracted enjoying the sights or battling the crowds (a pickpocket’s favorite word) can quickly ruin your vacation. Leave your valuables in your hotel safe, carry your money and camera in a way they cannot be easily snatched and try to be aware of your surroundings even in broad day light. I’m not getting at the risk that your Prada bag isn’t real, but at the fact that if you do buy merchandise from one of the street vendors, you risk getting fined or even arrested along with them. In recent years, Italy has been seriously cracking down on counterfeit distribution and as a result, buying fake merchandize is a serious crime. You might see posters highlighting “bad bags” and warning you about the consequences of buying them, but if you don’t, just take my word for it. I urge you, don’t come rushing into Venice for a few hours to check it off your travel bucket list. This is one of the biggest tourist mistakes. There is so much more to do and see than the San Marco area and it would really be a shame not to experience more. 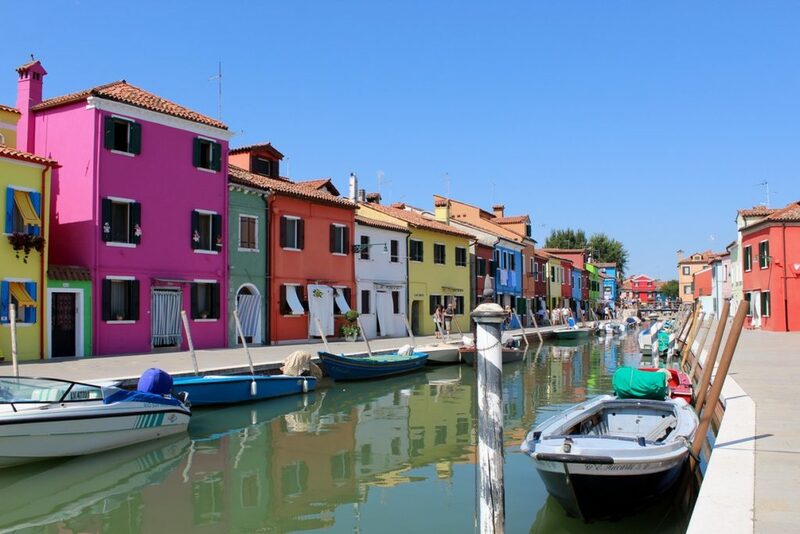 The colorful and picturesque island of Burano is definitely worth a day trip from the center of Venice. Venice is so charming and romantic at night when the crowds thin out and you can peacefully stroll around its dimly lit canals. Also, some of the nearby islands such as Murano, known for its glassblowing and Burano, famous for its picturesque colorful houses, are definitely worth a visit. To experience both – Venice at night and visit some of the surrounding areas – you will need to stay for more than one day, but trust me, it will be well worth it.